We're Seeing Red This Chinese New Year! This year, Chinese New Year falls between the 19th to 21st February. Our Asian friends will no doubt be preparing for the celebrations with lots of festive Chinese food and traditional customs. We thought it would be cool to put together a few outfits that make a nod to this special time of the year. Red, yellow and gold are classic Chinese New Year colours. So we used these colours to create the outfits below. We stayed away from traditional Chinese prints and patterns to make it easier for everyone to try them out. So the next time you hang out with your friends, you too can share in the spirit of the festivities! For a playful look: Unless you’re ultra conservative, there’s no reason why we can’t have some fun with our look and still pay homage to traditions. Here we’re just playing with red and black and adding a few accessories to balance out the look. For a slightly more formal look: For this outfit, we turned things down a little to get a more elegant, sophisticated look. The red, though muted, adds a touch of maturity and class we think. The jacket, boots and beret provide a nice balance to the red and the denims anchor everything together. The OL (Office Lady) Look: Gotta look sharp at the office right? Now we can do that and still be ready for a night out. A splash of red catches the attention right away. 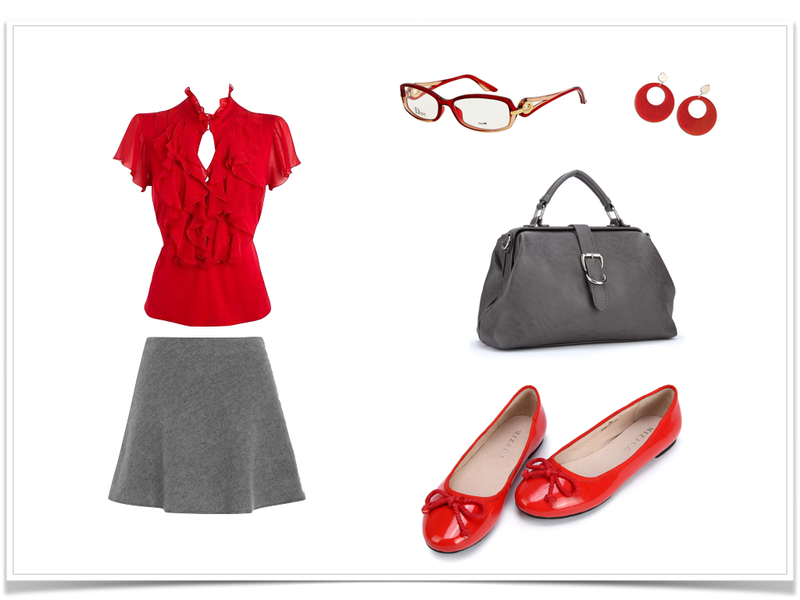 A nice clean skirt helps lead the eye all they way down to those cute red flats. Red colour eyewear and earrings help keep the attention when up close and everything is finished off with an understated yet chic handbag. The weekend look: We took a pair of jeans and paired it with a comfortable blouse, then threw in black ankle boots and a clutch. A red watch, necklace and beret add a nice touch of colour. A gorgeous red coat completes a look that is just as versatile indoors or out. 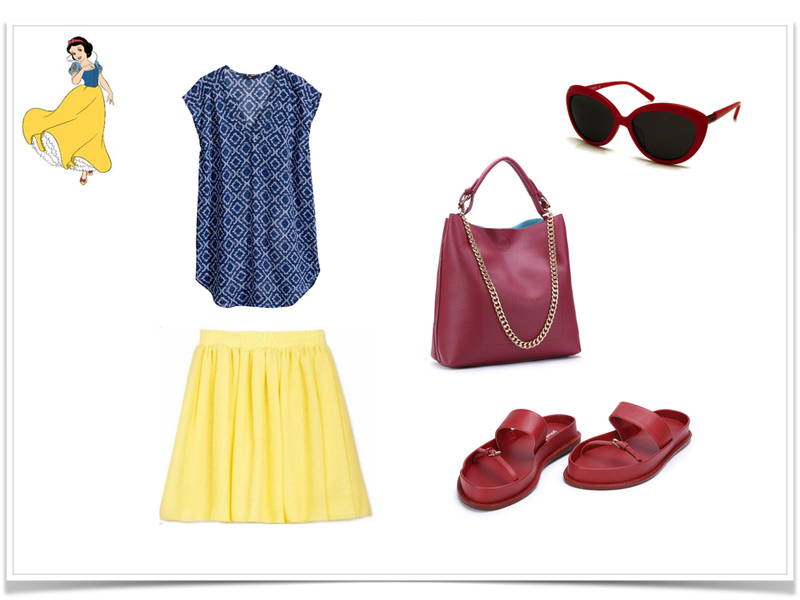 Just for fun look At this point we realised that we didn’t feature any look with yellow. We thought we’d try bring red and yellow together and add a little blue. After trying a few things, we ended up channeling a little Snow White LOL. So we ran with it and came up with this so-so serious, Just For Fun look. Hope you like ’em and here’s wishing everyone a marvellous Year of the Goat!